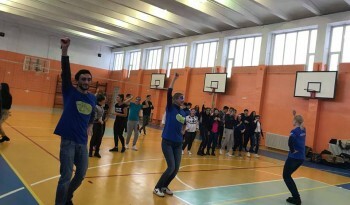 Description.The EVS volunteers and Stefan Odobleja high school students played comic volleyball with a big ball and the volunteers together with the students wore masks representing a healthy lifestyle . After that, the students and the volunteers made a flash mob together by danceing. 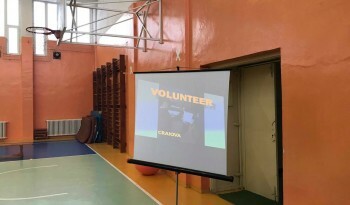 Afterwards, they showed their final video, E-magazine about activities and all gathered innovations that we implemented by making brief presentation. Additionally, students and EVS volunteers danced a traditional Romanian dance and made a cultural exchange. 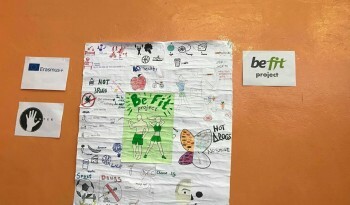 Overall, Be Fit 2 has completed its mission and the volunteers are glad to be a part of EVS family.